Even though water might be naked, sometimes it wants to get dressed up. Renowned fashion designer, Jean-Paul Gautier – the man who put Madonna in iconic cone-shaped bustiers – will be dressing the French mineral water brand, Evian for the October 2008 Fashion Week in Paris. 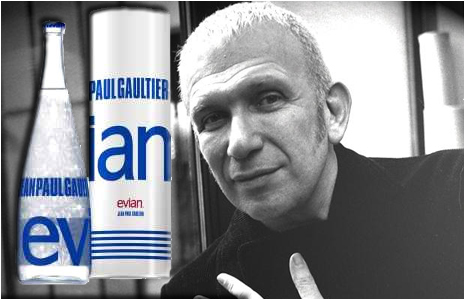 Gaultier’s Evian bottle design is simple and elegant, stamped with his trademark typeface. And there are actually two different design versions - Prêt-a-Porter and Haute Couture. But, he’s not the first designer to do this: Christian Lacroix also designed a bottle for Evian in early 2008, to dazzling effect. Once Gaultier’s bottle is introduced in Paris, the Haute Couture bottle collection will be sold at auctions around the world and all the funds raised from the auctions will go to the RAMSAR organization, which aims to protect the earth’s water resources. Sometimes it takes an engaging idea to inspire a designer to conceive of a collection that will make wearers want to buy several pieces, if not all of them. 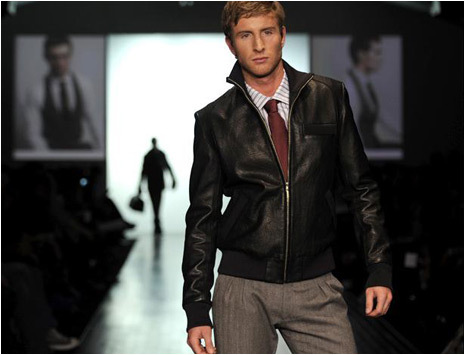 For designer Philip Sparks, his concept of a chic petty thief is one that creates a lot of covetable items for Fall/Winter 2008. Pieces can be interchanged and worn from morning to night. Whether it’s a cardigan or vest worn over a shirt with a collar with a twist, or a suit with sharp details, it’s all there. 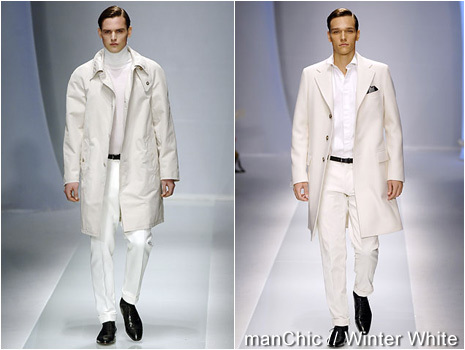 Coats are luxurious in cashmere and wool. Both long and shorter styles were seen in greys and creams - perfect for any occasion, but ideal for those special nights out on the town. 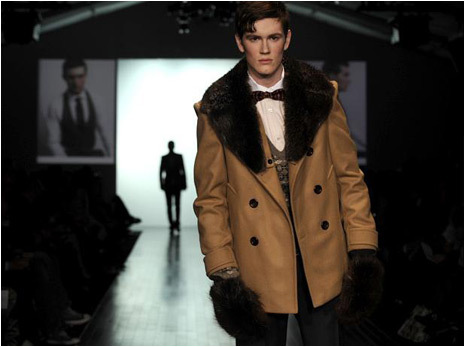 Fabrics range from tweeds to leathers with a good dash of beaver fur mixed in to keep warm when the temperatures drop. Who doesn’t want a pair of fur gloves in winter? 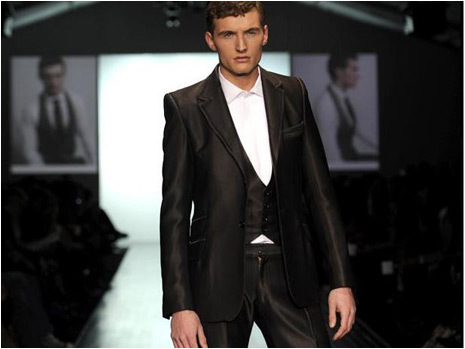 With the tailoring leaning more towards the traditional, there are some contemporary frills seen in the cut of some of a tuxedo with braided trim, leaner jackets and fuller pants. Overall, Sparks creates a style of a common criminal that a man won’t have to resort to robbing a bank in order to look just as good as the models on the catwalk. 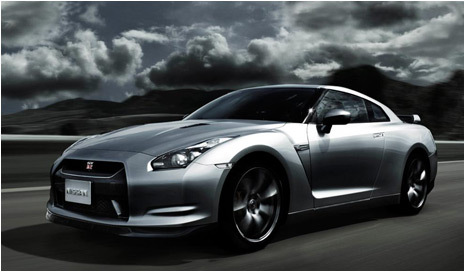 With a design influenced by the square lines and vents from the series of Gundam’s anime robots, the Nissan GT-R not only looks fast, but is fast. A VR-series twin-turbocharged 3.8 litre V6 producing 480 hp and 430 lb/ft of torque takes this rocket from 0-100 km/h (62 mph) in 3.5 seconds. The 6-speed, dual-clutch gearbox with three driver-selectable modes speeds to over 290 km/h (180 mph), while the Brembo brakes stops the car in its tracks. Putting the muscle to the pavement is Nissan’s ATTESA ET-S All-Wheel Drive (AWD), Vehicle Dynamics Control (VDC-R) with three driver-selectable settings, 4-wheel independent suspension with three driver-selectable modes, and exclusively developed nitrogen-filled Bridgestone® RE070A high-capacity run-flat summer tires. The technology tour continues inside the leather-lined interior. Features include: 7-inch high-resolution color-LCD touch-screen monitor; HDD-based GPS navigation; digital Bose® audio system with AM/FM/in-dash 6-CD changer and 11 speakers including dual subwoofers; and Bluetooth® Hands-free phone system with voice recognition. And, there are an abundance of safety systems to keeps its occupants protected: dual front, dual-stage air bags with seat belt sensors and occupant-classification sensor; driver and front-passenger side-impact supplemental and roof-mounted curtain supplemental air bags; and front seat belts with pretensioners and load limiters. Get in line because these cars will go disappear faster than they’re being built – Nissan will only produce 1,000 cars a month when sales start this summer. Known to be one of the most luxurious fabrics produced, velvet is a perfect material for winter clothing because it’s both lush and plush. 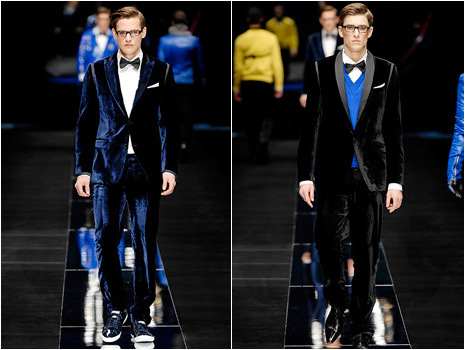 During the colder months, nothing looks better than a velvet jacket or coat. Short or long, a velvet topper can be dressed up with a dress pant and patent shoe, or dressed down with a crisp dress shirt and a pair of sporty shoes. It depends on the event. 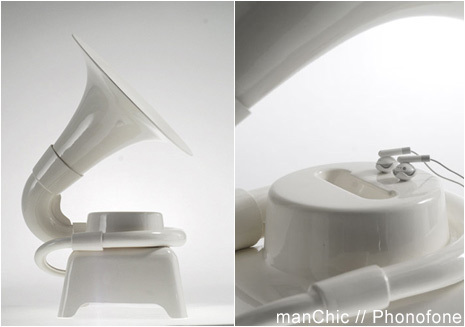 Whether the colour is light or dark, make sure it’s well preserved and cleaned after each outing. To raise the pile, brush with a soft-bristle brush – the fabric will last longer, and the topper will be worn for years to come. Just like a man moisturizes the skin on his face, so too should he take care of his shoes to keep them from drying – especially in the winter. If there are salt stains on your leather shoes or boots, mix one tablespoon of white vinegar in one cup of water. Dip a clean soft rag in the liquid, the wipe the salt stains. When dry, the shoes should be good as new. If the footwear is suede (even though no one should wear suede in the winter), don’t use oil-based cleaners because they will stain the suede more than the salt. Try a mild blend of one teaspoon of dish washing detergent and fabric softener in 500 ml of lukewarm water. First brush the suede with a shoe brush to loosen and remove any salt and dirt. Spray some of the solution on evenly over the suede and lightly brush it in. Wide off with a cloth dampened with clean water. When dry, rub the suede with light sand paper to recover the texture. Finally, to keep the leather looking supple, apply a spray or cream protector in-between cleanings. 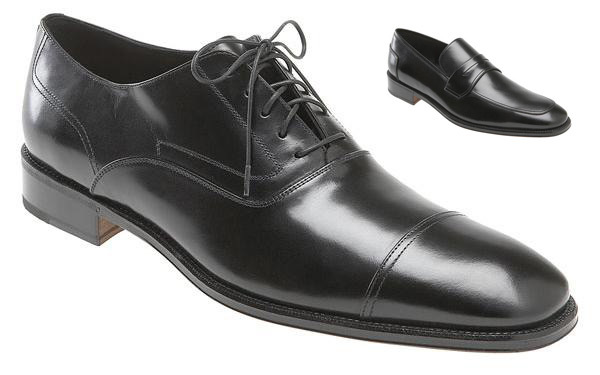 Your shoes will thank you. Grey is any colour between black and white, so it can be described as the third neutral. It’s sophisticated and urban, and a perfect addition to any wardrobe. Layering shades of grey adds a subtle impact – a charcoal overcoat with a dove-grey suit underneath, and a heather sweater or scarf to remain warm on colder days. Grey is the perfect solution for those who are timid of colour, yet it allows the wearer to look calm, cool, and collected. 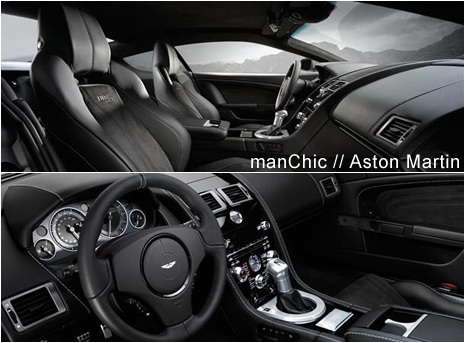 Anyone can feel like a superspy while driving in an Aston Martin DBS. Known as the car of James Bond, the DBS was first seen in Casino Royale, the 2006 film starring Daniel Craig. 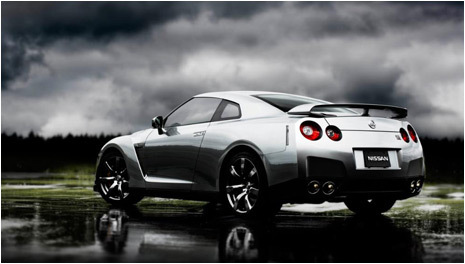 A hand-assembled 6.0 litre V-12 engine – tuned to 510 hp and 420 lb/ft of torque – delivers breathtaking power. Shifts from the 6-speed manual transmission can accelerate the car from 0-100 km/h (62 mph) in 4.3 seconds, while reaching a top speed of 191 mph (307 km/h). 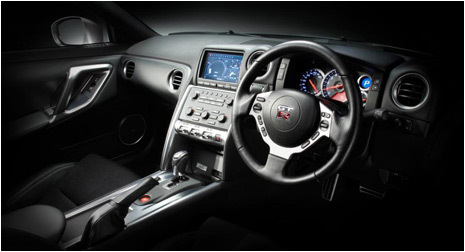 Inside, the centre console is a blend of analogue instruments and digital technology, including an advanced audio system, MP3 player connectivity and satellite navigation, regulated by controls fashioned from solid, turned aluminium. All of this is wrapped in the muscular and elegant bodywork, crafted from light-weight aluminium and carbon-fibre. Do you want one? If yes, you have to be patient – sales start in spring 2008. Eskimos have over 100 words to describe snow because no two kinds of snow are alike. 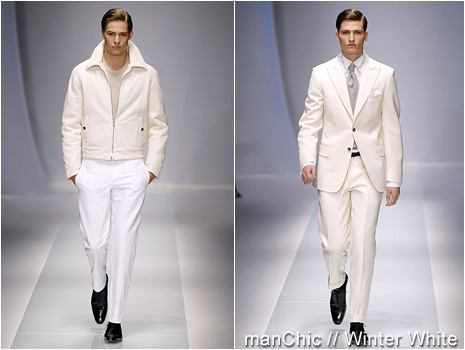 The same can be said for the colour white in fashion. From ecru to eggshell, the shades and tones vary depending on the fabric and finishing of the material. 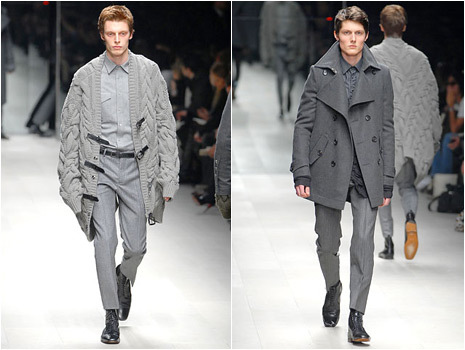 To keep the look from becoming too monochromatic, insert touches of other colours – grey, black, camel. 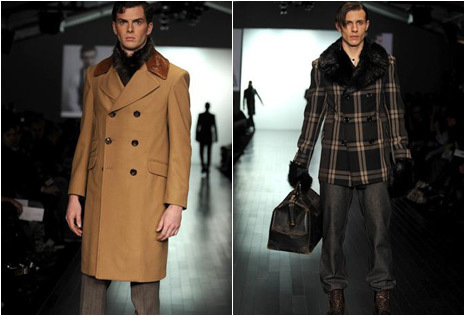 Also, mix up the fabrics, but keep them luxurious: smooth velvets, buttery-soft cashmeres, and nubbly wools. 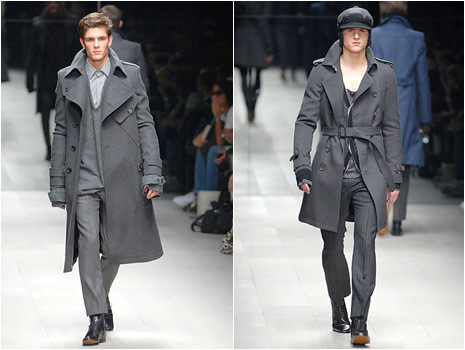 Look to Savile Row for inspiration on cut and proportion. 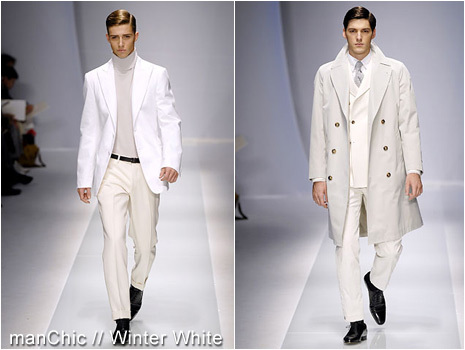 Classic tailoring is a plus in this situation because a puffy jacket because will make the wearer resemble Frosty the Snowman.